Mary Baechle, Lecturer of Technical Communication, was recently selected to receive the 2018 Trustees Teaching Award. The Trustees Teaching Award seeks to honor individuals who positively impact learning through direct teaching of students, especially undergraduate students. Recipients of the award must have demonstrated a sustained level of teaching excellence in the form of documented student learning. They also must have completed three or more years of service at IUPUI for consideration. Dr. Katrenia Reed Hughes, Assistant Professor of Organizational Leadership, was recently awarded a $10,000 grant through the Enhanced Mentoring Program with Opportunities to Excel in Research (EMPOWER). This program is cosponsored by the Research Development Office of the Vice Chancellor for Research as well as the IUPUI Office for Women. EMPOWER “supports IUPUI faculty who are historically underrepresented and/or excluded populations in their discipline or area of scholarship and historically denied admission to higher education or that discipline, 1) to become successful in sponsored research and scholarly activity, and 2) to achieve significant professional growth and advancement. The program sustains mentorship opportunities through the EMPOWER Grant Program, supporting achievement of excellence in research and scholarly activity, and optimal attainment of academic career goals and objectives.” For more information on EMPOWER, visit http://research.iupui.edu/find-funding/internal-funding/empower. Evan Yoho, a junior in the OLS program recently attended the Tau Kappa Epsilon (TKE) Regional Leadership Conference, which was held at the Hyatt Regency in Jersey City, New Jersey, on February 2, 2018. At the conference, Evan met Steve Forbes, Chairman and Editor-in-Chief of Forbes Media. TKE's mission is to aid men in their mental, moral, and social development for life. With nearly 12,000 collegiate members, Tau Kappa Epsilon contributes to the advancement of society through the personal growth of their members, and service to others. Her project will benchmark best practices of wellness programming across other industries and higher education institutions. The project will propose how career development coaching and topics can be expanded to include wellness in its many forms, proposing resources, coaching, and programming for the alumni engagement field. A few examples of wellness programming across the continuum of lifetime alumni engagement include: financial wellness for first time homebuyers, mid-level careerists, retirees; physical wellness, exercise and nutrition; mental wellness, sleep, and how to manage stress; intellectual wellness through lifelong learning. The Tardy Fellowship encourages the advancement of junior professionals with two-to-five years of experience in alumni relations into senior alumni relations officer positions. The fellowship is named in honor of the late Jerry F. Tardy, president and CEO of the Indiana University Alumni Association, who served as a great advocate of the alumni profession and a mentor to numerous colleagues throughout his career. Ms. Bennett currently serves as the Indiana University Alumni Association Associate Director of Career & Professional Development. Ife Goodson, a graduate student earning her Masters of Science in Technology with an Organizational Leadership focus, was awarded a Yurtseven International Initiatives Scholarship to support recent travel to Germany to study issues in philanthropy there. “I would never in a million years imagine that I would have the opportunity to travel to Germany, but as a recipient of the Yurtseven scholarship, I was able to study abroad as part of the “Philanthropy and Public Policy: The German Context” program May 14-27, 2017. This program, hosted by the Indiana University Lilly Family School of Philanthropy, provided a firsthand learning experience in philanthropy and public policy through lectures and meetings with professors, state and federal agencies, nonprofit organizations, think tanks, and foundations throughout Berlin and Hamburg. “Overall, I was inspired by Germany’s history, culture and innovative social service collaborations and strategies. We visited Karuna, a hands-on program for youth addiction prevention. Founded by Jorge Reichert, Karuna provides a network of services and support for disconnected youth who are often referred to as an “invisible population.” Karuna’s unique collaborations include a recent partnership with Google to develop an app that streamlines the processes of engaging youth, identifying tailored needs, and locating available services. This innovative approach connects a hard-to-reach population with critical assistance, and it provides a model for youth empowerment. “In addition, we took part in the German Protestant Kirchentag, a bi-annual church celebration, that included a panel discussion “Ending Hardship. How Do We Reduce Poverty Effectively Worldwide?” One of the panelists, American philanthropist Melinda Gates, discussed the role of philanthropy as a catalytic wedge for change. She discussed the role of foundations in utilizing innovation to spur projects in developing countries, measuring effectiveness, and advocating the scaling up of successful projects that serve humanity." The School of Engineering and Technology, IUPUI's student Dan Huffman is a Principal Engineer at Verizon and earning a Bachelor of Science in Organizational Leadership in the Department of Technology Leadership and Communication (TLC). 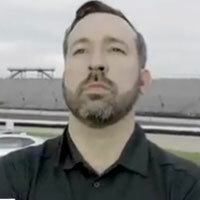 Huffman and his team have been working with partners Ericsson and Intel, to test delivery of next-generation 5G wireless broadband technology that was set for demo at the Indianapolis Motor Speedway on Wednesday, May 24th. Christian Rogers and Corinne Renguette, faculty members from the IUPUI School of Engineering & Technology, presented at Cyberlearning 2017, sponsored by the National Science Foundation and the Center for Innovative Research in Cyberlearning. Chris and Cori are collaborating with Jerry Schnepp from Bowling Green University on the development and testing of EASEL (Education Through Application-Supported Experiential Learning) to facilitate opportunities for reflection before, during, and after learning experiences.